Need a hand explaining your business? Try an amazing trifold brochure. Get the latest creative designs from this list of resources. Trifold brochures are one of the easiest ways to present your business. They feature a creative folded layout that gives you plenty of room for important company details. So today we’re bringing you another great list of resources to help your brochure designs stand out. Get access to incredible premium designs from the creators at Envato Market and Envato Elements. Enjoy stunning, creative layouts perfect for corporations and small businesses. Grab your favorite designs from this inspiring list. Want to make one yourself? Get started with this simple tutorial from instructor Laura Keung. Let’s begin with this brilliant multipurpose brochure. 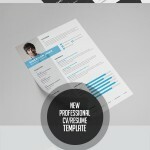 This template features a standard trifold design to help grow your business. It was made in CMYK format and comes with bleed lines already set for your convenience. Try it out with different software. Our next brochure design will help your trifolds look smart and professional. This template features a bold, navy blue look that’s available to edit using Adobe Photoshop. Some design experience will be necessary to update this fully layered document. Do you have a hard time making decisions? Get the best designs for your buck with this trifold brochure bundle. This new set of templates includes print-ready files at a standard US Letter size. Get access to free fonts and more in this affordable download. Convince your clients that you’re ready for business with this phenomenal corporate trifold. This elegant design features bold, colorful details that you can change to fit your brand. Customize it fast with the help of Adobe Photoshop. Check it out! Need a new way to get the community involved? Update your farmer’s market experience with a helpful trifold brochure. This clever template is great for creatives familiar with Adobe Photoshop and Illustrator. It includes front and back designs as well as organized layers. The beauty of a multipurpose template is that you can mold it to your business. So try a vibrant design like this next trifold brochure. This template is perfect for business owners in advertising or the financial sector. So get help with your design with this incredible trifold template. If you want a fresh, modern look then you’ll definitely love this brochure template. 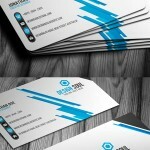 The creative design highlights your company’s details with colorful triangles and compelling images. Swap out the pictures for the ones you love within the fully layered files. Do you like to help others plan for their future? Then plan to make an impact with this stunning trifold brochure. It’s great for financial advisors, accountants, and other professional services. Update it fast with Adobe Photoshop or even Illustrator. Turn your dreams into reality. This next trifold brochure is minimal but very appealing. It maps out your core business values in a well-organized document that is easy to use. Not a designer? No problem. Just edit it with the help of Microsoft Word. Captivate your audience with a beautiful handout. This Malina trifold looks effortlessly chic. You’ll love the highly organized layout with plenty of room for your content details. All the text and image layers are fully editable, so you’ll be able to swap out what you need with ease. Looking for a modern trifold that will help you stand out? Then take a look at this next beautiful design. This modern template features a retro-chic geometric pattern you can customize with your own colors. It’s very easy to adapt to all your business needs. 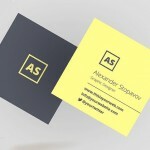 One way to market yourself as a creative is with a clever portfolio trifold. This new template features A4 and US Letter sizes along with free image and font links you can also get with this download. Change the design to fit your style in Photoshop or Illustrator. Starting a new business in health? Center yourself with this brilliant yoga brochure. This template features a sleek and minimalist design with fully editable layers to drag and drop new content. Enjoy incredible, print-ready files to use in your business today! One of the best ways to design a trifold is to keep things minimal. 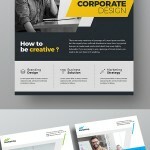 So try out a new layout with this creative brochure template. This trifold template features an interior designer theme, along with front and back designs you can customize in minutes. Try it out! Another great template you should consider is this well-designed, multipurpose trifold. This brochure template makes it easy for business owners to sell their services with style and elegance. Enjoy several print-ready files available in A4 and US Letter sizes. Highlight your weekly sales with this professional supermarket trifold. This brochure bundle includes several quality templates with trifold and bifold designs. Add it to your collection so you can update it at any time with the help of Adobe InDesign. The medical industry can be very overwhelming for many customers. But now you can relieve their worries and ailments with a thorough brochure. This standard template features a convenient trifold design you can adapt easily with Adobe Photoshop. Will the best solution to your business be a trifold brochure? Try out something new with this compelling, modern design. 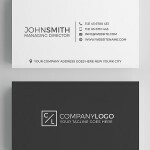 This template features a nice corporate theme, with bold geometric elements to help your business win. Get a stylish design your clients will love! Be sure to market your next app with both online and offline promotions. One way to do that is with this incredible trifold brochure. 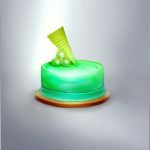 This download features one Photoshop file with all the elements you need to make your app shine. A handy help document is also included. Create the best wedding day experience for your brides and grooms. This wedding brochure bundle is perfect for photographers and creatives. Featuring several brochure styles, this template also includes a clever trifold design for a whole new look. Add it today! Highlight your real estate properties with this next elegant design. 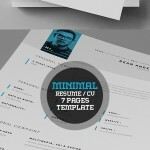 This trifold brochure template is simple and easy to use. Just open it up in Adobe Photoshop to customize it with your own photos and prices. Enjoy fully editable layers and a sophisticated style. Are you going into the furniture business? Bring out the best in your catalog with a creative trifold template. This brochure features a universal design that is perfect for many business owners. A minimum of Adobe InDesign CS4 is required to update these files. Our last trifold brochure features another stunning furniture theme. This modern design is available in a standard A4 size with completely free fonts that are linked within the download. Save time listing your favorite products and prices in this easy-to-use document. Designing for your business has just gotten a whole lot easier with extraordinary premium templates. I hope this list has inspired you to update your brochures or even tackle a fun, new design.